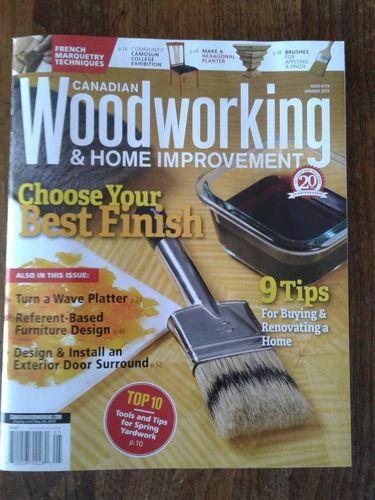 I just picked up my mail to find four copies of the latest Canadian Woodworking Magazine. It features an article I worte almost three years ago. I had forgotten all about it until I got a call last month. Congratulations buddy, way to recognition! Cheers! Outstanding! 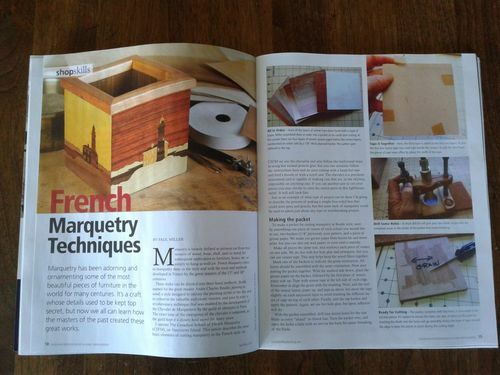 You should have a regular monthly feature in that mag. I get email from them and saw it a few days ago, I mentioned it in a response to your post about the two boxes you just finished but I guess nobody picked up on it. So congrats again!! I had no idea that they sat on things that long, that’s a very long time. Nice article, get ready to hold more classes!! Way to go Paul. They sat on my article for nearly two years. Not sure how they’ve operate over there. Need to make sure I pick up this issue. You da man! Nice to be recognized out side the inner circle. Congrats Paul it’s great to see people who actually know what they’re doing get published.